Can you recall a time in your life when you were forced to decipher fact from fiction? I can remember numerous stories that I believed as a child simply because they were voiced by someone older. Don’t disturb a bird’s nest or the mother won’t return. Touching a toad will give you warts. Santa Clause. While the validity of some tales becomes blatantly obvious as we get older (I think I’d notice eight 300 lb reindeer dancing through the sky, thank you), others aren’t as apparent. Here’s the truth behind 5 commonly accepted myths about nature and our environment. 1. Myth: If you touch a baby bird, its mother will abandon it. Truth: This is false. According to the Washington Department of Fish and Wildlife, it’s perfectly safe to return an uninjured nestling to its nest. Birds have a poor sense of smell, so it’s likely the mother won’t even know if a human touched her baby. But if you do find yourself needing to return a baby bird back to its home, make sure not to move the bird far from the location in which you found it. Doing so can make it difficult for the mother to find her baby. 2. 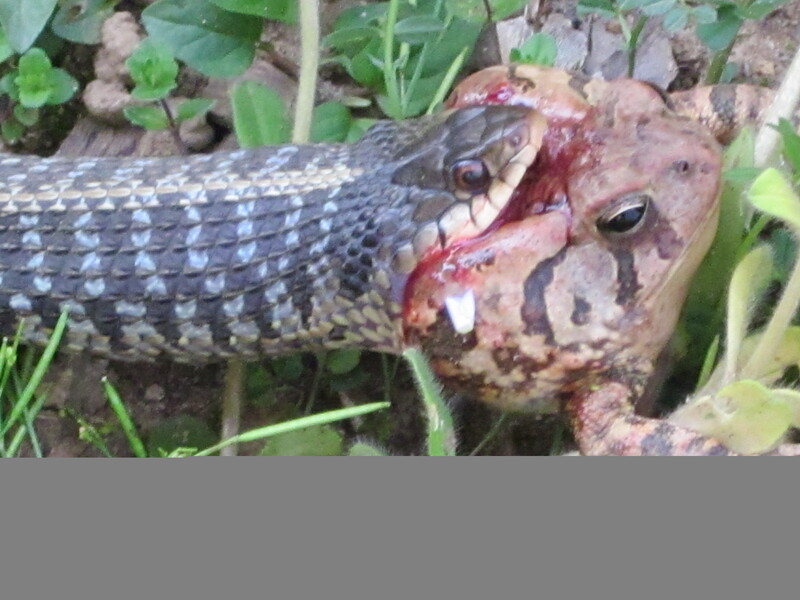 Myth: Snakes dislocate their jaws to swallow large prey. 3. Myth: Touching a toad will give you warts. Truth: False. Human viruses, not coming into contact with toads, cause warts. However, that doesn’t necessarily mean you’re in the clear if you do touch a toad. The parotoid glands- found on the toad’s back, neck, and shoulders- secrete a substance that can cause skin irritations. The glands are wart-like in appearance, which may be where the myth originates. So while touching a toad won’t give you warts any more than kissing a frog will turn him into a prince, it could leave you sporting an unpleasant rash. Truth: No matter how many times your parents insisted you “put a coat on before you catch a cold!” the common belief that you can catch a cold from being in cold weather is just a myth. According to WebMD.com, although “the only way to catch a cold is by being exposed to a cold virus, cold air may irritate an existing condition, such as asthma, which would weaken your immunity. This could make your body more receptive to a cold virus, but only if you come in contact with it.” So the next time you start sneezing, don’t blame the cold. Blame Sneezy Sam, who never washes her hands, but always shakes yours. 5. Myth: Bottled water is safer than tap water. What nature myths have you busted? Share your stories in the comments section below! This entry was posted on Tuesday, May 6th, 2014 at 10:00 am. Both comments and pings are currently closed.